It looks like rain is due for this upcoming Memorial Day. That's OK! We have a great deal to make the weather better. Purchase an Individual, Student or Youth Day Pass at our regular rate and receive ONE FREE DAY PASS to come back another day! 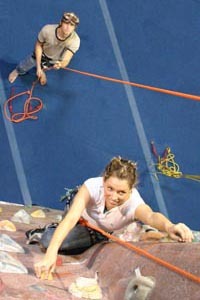 Edgeworks Climbing is proud to offer week long Summer Camps for beginner, intermediate and advanced climbers of all ages! 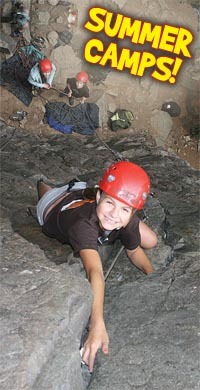 Whether you’re looking for a camp to introduce your children to the sport of rock climbing or your climber is looking to push their climbing skills to the next level, Edgeworks’ Climbing Camps are a fun and safe way to enjoy the sport of rock climbing!